The 2017-2018 Faculty Learning Community (FLC) will build upon the work that the group did in 2016-2017 with the primary aim being that the group will disseminate and present to the campus community and others the deliverables that the group worked on. As students and faculty increasingly use technology and the internet in teaching and learning and take/conduct classes with online components, opportunities for both participating in and preventing academic dishonesty, as well as the positive promotion of academic integrity also become increasingly available. How instructors use technology and facilitate their classes in the online environment can greatly affect student's decisions about academic integrity and dishonesty as students' understanding of and decisions about academic integrity are contextual and heavily influenced by their experiences within a specific course. In the FLC, we will explore how faculty can harness the technological and online resources available to them to encourage integrity and prevent or detect dishonesty, and how to encourage students to understand academic integrity within the online environment and make better decisions about integrity and their learning. We will read current research on college student academic integrity in the online environment, explore and use various technologies and internet-based resources used by faculty and students related to academic integrity and dishonesty as well as good pedagogical practice, and collaborate to create resources to encourage best practices for for faculty to promote integrity and prevent or detect dishonesty. 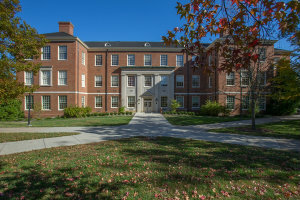 This FLC supports the work of the Center for Teaching Excellence by promoting sound pedagogical practices centered on student learning that is also connected to decisions about academic integrity and supports the mission of Miami University by addressing and embracing the values of the institution as they relate to student learning, accountability, and honor with a direct tie-in to the Code of Love and Honor/I Am Miami campaign for students. The FLC also supports the mission of Miami University by addressing a need within the growing use of online teaching practices around issues of academic integrity and dishonesty.